Chemical emulsions in produced and slop water are not easy to separate. In an offshore environment the challenges multiply as time, footprint and manpower are restricted. 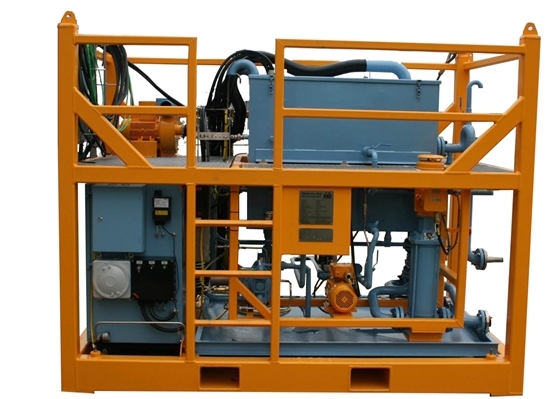 TwinZapp consists of a single skid with a plug and play, 2 step solution to clean emulsions to well below North Sea discharge limits at a typical rate of 30 bbl per hour. No consumables, and no specialized operators are required. The resulting overboard water contains mostly less than 5 ppm of oil. aromatics is then removed by a fully re-generable filter at the final polishing stage. The processes are ATEX Zone II certified and mounted in a DNV certified skid. As the unit is equipped with a totally stand-alone control system, TwinZapp can under no circumstances interfere with hydrocarbon production processes. No chemicals or adsorption cartrid-ges required. Mobile system that allows work on platforms and work-over projects. 40-50% reduction of dissolved fraction (BTEX). Longer lasting interfield pipelines through local water treatment. Easily installed, operator friendly and low maintenance.